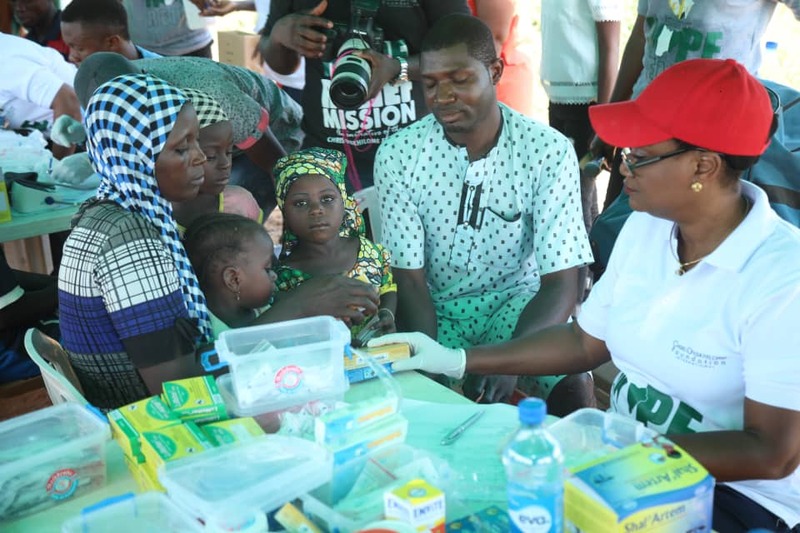 In response to the ongoing humanitarian crisis in Nigeria’s middle belt, member agencies of the Chris Oyakhilome Foundation, which includes the InnerCity Mission for Children, Volunteer Medical Corp and Bible for all Missions, took the initiative to distribute relief materials within affected locations, starting with Niger State. The floods in many states of Nigeria led the federal government to declare a national disaster, with more than half a million people displaced, houses submerged, farmlands washed away and sources of livelihood eroded. Many of the victims reside in host communities and some in camps hurriedly set up by government agencies. 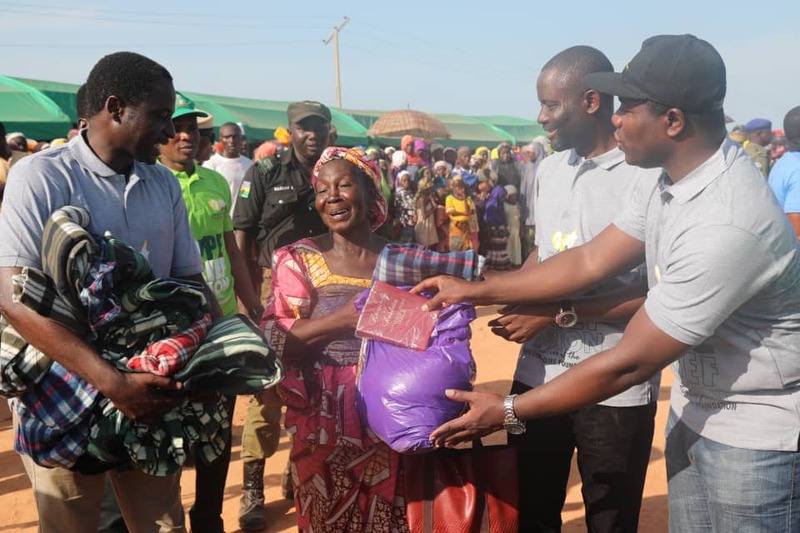 The Hope Relief Mission Project kicked off after a courtesy visit to the Niger State Government House, beginning immediately to impact more than 10 affected communities: Egagi; Elogi; Baji; Saachi; and more in the Lavun Local Government Area. During the intervention, over 1,000 poor families were reached with life-saving materials such as proteinous food, potable drinking water, clothing for children, blankets and hygiene products. 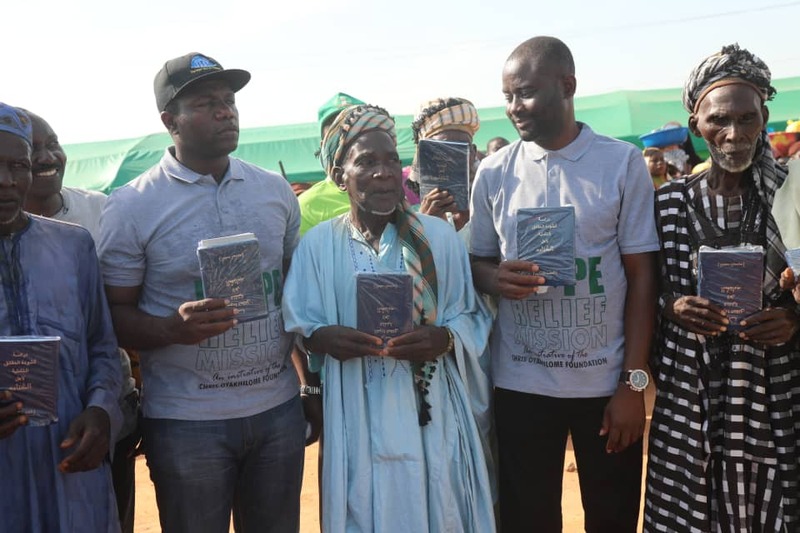 Medical aid services, psychosocial services, safe-guarding enlightenment for girls and women, play and learn moments for children and the distribution of Rhapsody Bibles in Hausa and Arabic languages were also offered. The Hope Mission was timely, because many victims of the flood were already low income earners prior to the disaster that took away what little they had left. 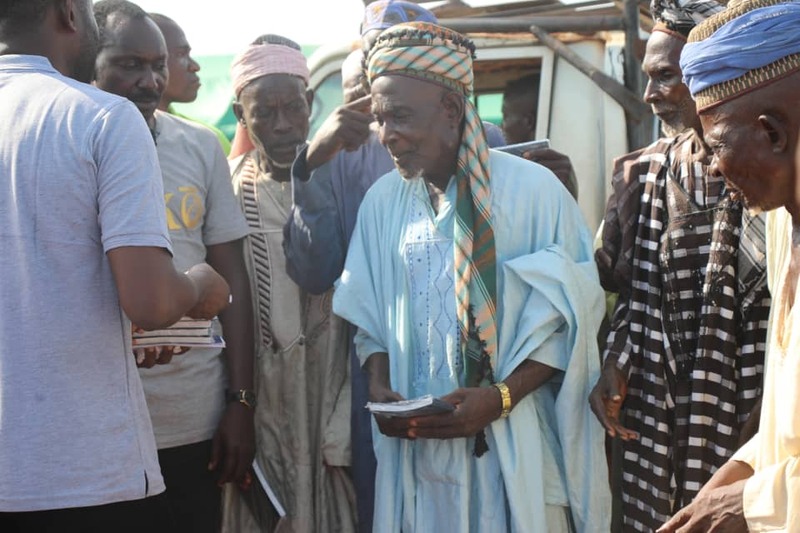 The disaster further increased the vulnerability of the households affected. In selecting beneficiaries, the assessment team used a vulnerability ranking that gave preference to pregnant women with children, nursing mothers, mothers with children under 5 years and mothers with children under 10 years. The smiles on the people’s faces and their deep gratitude to the man of God, Pastor Chris, echoed the positive impact of this special outreach. 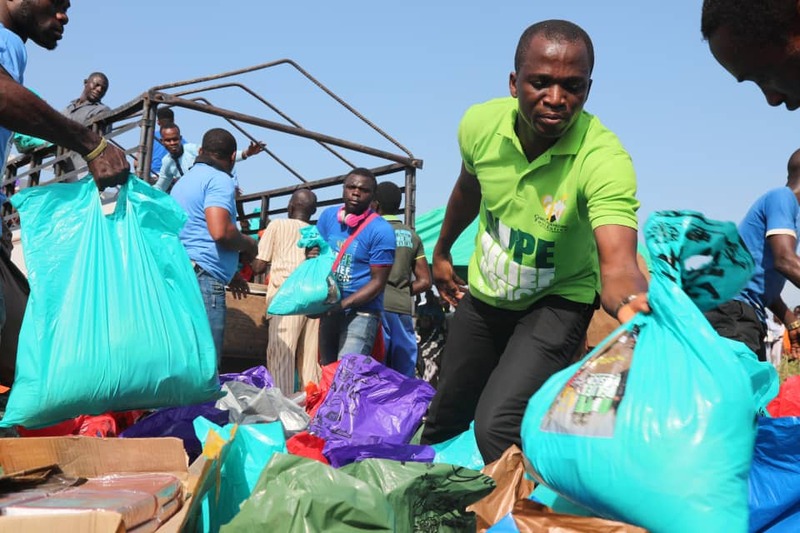 Every community had in attendance its leaders’ council and elders who joined all the beneficiaries, and indeed all residents of the affected communities, to profusely thank the BLW President, Reverend (Dr.) Chris Oyakhilome, for thinking about them and sending the response team.